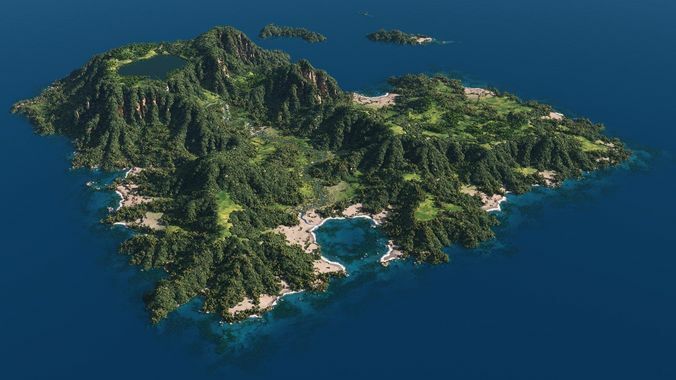 A large, detailed, variegated and lush island as set for your scenes. Though wide and rich of vegetation, the scene is light and suitable for animations. Notes: The scene include 1 simple island-terrain, modeled with WorldCreator and texurized in Vue. It was assembled (and welded) from 3-4 simpler terrains. The island-terrain have been populated with 7 eco-systems, all adjusted for this kind of terrain. Sorrel For the Vue Infinite/xStream users, they are already in bundle. Packlist: 1 Vue scene, 5 alpha-masks. The file zipped is a multi-volume of 4 parts, you have to download all of them to open correctly the file.